If you are looking for cheap wedding ideas, you have come to the right place. Here you are going to find ways to save money on a wedding. However, there are lots of things that you need to do in order to implement it in a proper manner. This is quite tough to be honest. Furthermore, it is also the most important because the largest chunk of your total expenses is going to be decided on the basis of it. And that is where, if you are interested in a cheap wedding, it is of utmost importance that you restrict your guest list. With a smaller guest list, you will find that there is quite a bit of reduction in terms of food and drink costs in addition to the reception hall size, which you require to rent. With the average wedding costs going up every year, you can easily understand the importance of limiting your wedding guest list. This is quite an important factor when it comes to a cheap wedding. The point to be noted here is that good reception halls are going to offer you quite a bit of a discount for non-weekend days. For individuals that are interested in an even bigger cost saver, what about going to a reception hall that gives you an opportunity to hire your own caterer. 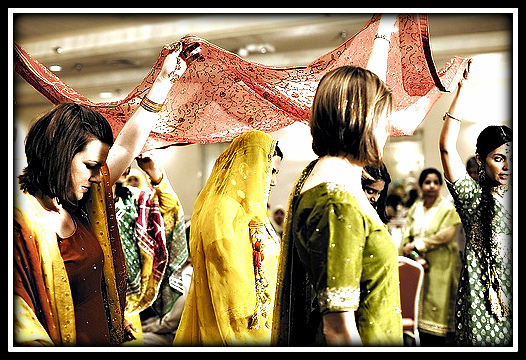 It is always a good idea to opt for a reception hall that is not popular as a wedding spot. Wedding planning is not a straightforward task, but if you manage to do it, without any sort of professional assistance, it can turn out to be quite rewarding in terms of money saving. When you plan your wedding on your own, you are going to get an insight of the costs that are being charged by different vendors. By comparing these costs, you increase your chances of getting a best possible deal. You are not going to face any issues in controlling the budget as you are not banking on someone else for decision making. That is very crucial. Most importantly, it is quite satisfying as well in the sense that it’s you who is deciding all the important things that you want in your ‘special’ day. There are three or four songs that are generally played at all the weddings. And then there are songs that you pretty much want in your wedding. Rather than relying on a professional DJ, you can decide the playlist on your own; after all it is not that difficult. Isn’t it? At this point of time, with playlists and mp3’s readily available on the Internet (covering various wedding routines), do you really need to take the services of a DJ? Save yourself $1000 or more by being your own wedding DJ. As is the case with personal finance, it is quite pivotal that you track down all your expenses. This will go a long way in ensuring that you do not cross the budget figure that you have set for your wedding. If for any reason, you have crossed the budget limit, prioritize things that you cannot postpone and things that you can easily get rid of. If you are looking for creative ways to save money, above-mentioned methods are going to help you immensely.